MgFood BCAA Extreme is a food supplement powder based on branched amino acids (L-Lueicna, L-isoleucine, L-Valine) enriched with Beta Alanine and Arginine. 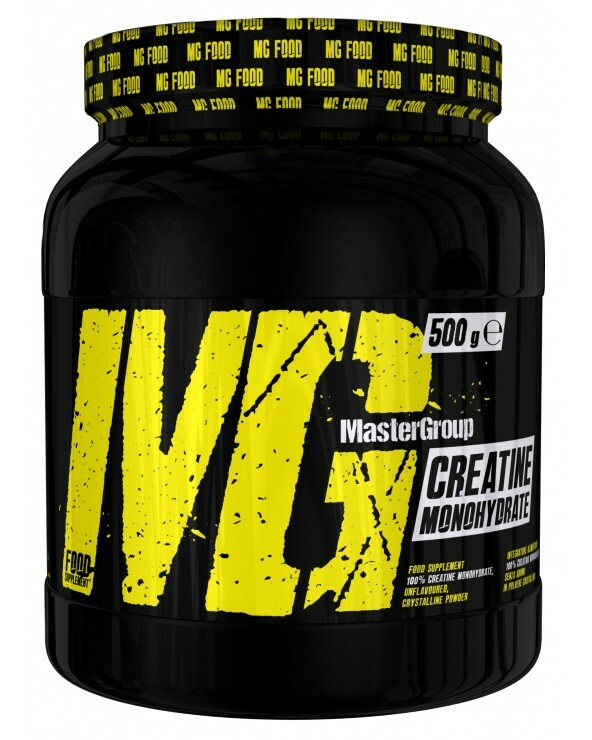 Mix 5 g (1 measuring scoop) of product with 250 ml of water and take once a day before or after the workout. May contain traces of milk, soy, egg and nuts. Please do not exceed the recommended maximum amount. Food supplements should be combined with a healthy and balanced diet. In case of medical conditions or physical discomfort please ask for a nutrition advice. To keep in a dry and cool place! Keep out of reach of children. MG Food Supplement recommends that a healthy lifestyle and a varied diet is essential for your wellness.